How to Prune Bridal Wreath and Snowmound Spiraeas. Bridal Wreath (Spiraea prunifolia) and Snowmound (Spiraea nipponica) Spiraeas are very pretty and easy-to-grow spring flowering shrubs. Dainty, white blooms line their graceful, arching branches and fill the air with a sweet fragrance. The only problem with spring-blooming spireas like Bridal Wreath and Snowmound is they tend to quickly become overgrown and twiggy, and flower less if left unpruned. Luckily, it's super easy to get the shrubs back in shape if you give them a trim using a technique called "gradual renovation pruning." Here is how to apply this technique to prune these spiraeas. The best time to prune spring-blooming spireas is immediately after the shrubs finish blooming. As with any pruning project, start by removing dead, diseased, spindly, or split branches. Prune these branches back either to the ground or to a spot where they join a healthy, live branch. Once you've cleared out all the dead and unhealthy wood, it's time to begin the renovation pruning process. The idea behind this technique is to cut back 1/3 of the oldest branches to the ground annually in order to stimulate a supply of new growth. 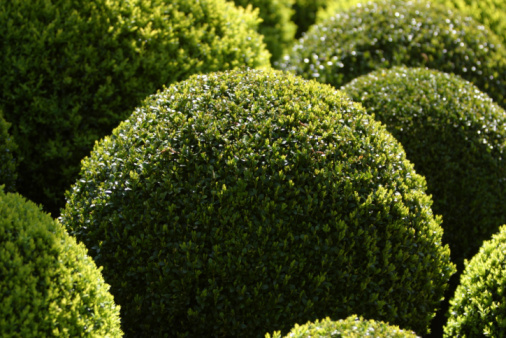 Before you start pruning, step back and take a good look at your shrub. Plan which of the oldest branches you want to take out before you start. Remember, pruning is like performing surgery on your shrub, so you don't want to start amputating limbs without carefully evaluating which ones need to come off first. Start by cutting out the branch that sticks out the most and contributes the least to the overall form of the shrub. Cut the branch off as close to the base as possible using a sharp, narrow saw, or bypass loppers if the branch is not that big. Once you have removed the first branch, evaluate the shrub again and take out the next worst branch. Repeat this process until you have removed 1/3 (and no more) of the oldest branches. As you prune, do your best to create a shrub with a balanced form and graceful shape. To complete the renovation pruning process, you will need to repeat Steps 1 through 4 each spring for two more years. After the third spring, you will have removed all of the old growth and will have a virtually new shrub. To keep your shrub looking good, prune out dead and unhealthy wood annually.